Strategic Minerals plc, a producing mineral company actively developing projects prospective for battery materials, is pleased to announce that it has entered into arrangements with New Age Exploration Limited (“NAE”) to acquire its entire 50% shareholding in Cornwall Resources Limited (“CRL”), the joint venture vehicle developing the Redmoor Tin/Tungsten project in Cornwall (“Redmoor”), for a total capped purchase price of £2.66 million. The Acquisition is subject to approval by NAE shareholders at a general meeting and upon completion of the Acquisition, CRL will be 100% owned by SML. The purchase price has been structured to reflect expected future SML cash flows and a significant component of the purchase price will be determined by future production revenues. SML acquires full control of Redmoor, subject to ratification of NAE shareholders at a general meeting. “The recent resource upgrade has highlighted the potential world class nature of the Redmoor Tin/Tungsten project and has given the Board confidence to consolidate control. To date, SML has progressed Redmoor in conjunction with its joint venture partner, NAE, and is delighted that this opportunity has arisen to acquire total control of the project. Whilst the Acquisition is subject to approval by NAE shareholders at a general meeting, we consider this will be forthcoming within around a month, and SML will then have a further 30 days to settle the Acquisition. 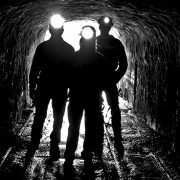 SML has valued working with NAE in developing Redmoor and is pleased to have agreed a fair and mutually beneficial transaction.As a UK listed company with full ownership of a flagship UK based project, SML is proud to play a significant role in the renaissance of the Cornish mining industry. Whilst the Company has sufficient cash resources to fund the acquisition of NAE’s interest in Redmoor, it is exploring non-dilutive funding alternatives with a select group of potential investors, at both a holding company and project level. Taking full control of Redmoor provides a significant benefit to the Company as it allows it to, solely, set the timing of project developments and, hence, the potential need for cash flow. Shareholders are advised that Strategic Minerals’ Chairman, Alan Broome, is also the Chairman of NAE and that, after making the Board of Strategic Minerals aware of the Redmoor opportunity, he recused himself from any further dealings with the Acquisition including any voting at Board level in both the Company and NAE.